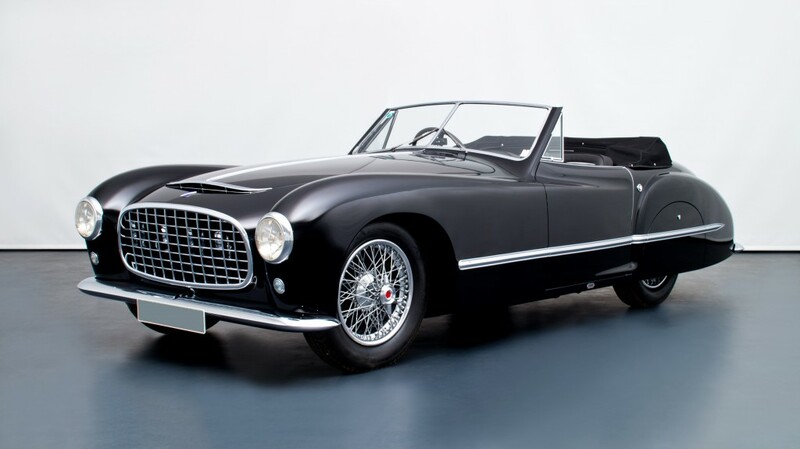 This Talbot Lago T26 Grand Sport Cabriolet, coachbuilt by Franay is the only example in the world. Carrosserie Franay only produced bodywork for three T26 Grand Sports, with the remaining two both being coupés. The Franay coachbuilt bodywork blends aerodynamic lines and gentle curves with a few standout touches such as the split windscreen, and contemporary Ferrari-inspired grille. Production of the T26 Grand Sport chassis began in 1947, developed with the help of a Grand Prix car’s underpinnings and powered by a 190bhp 4.5-litre six-cylinder engine. Even in its day, the T26 Grand Sport was extremely expensive, with only 28 built. So fast and advanced was the T26 in its day that a race-ready version took victory at the 1950 Le Mans 24 Hour race driven by Louis and Jean-Louis Rosier – the first and only time that a father and son team have won Le Mans. At the Concours of Elegance 2015, held at the Palace of Holyroodhouse in Edinburgh, the Franay-bodied Talbot Lago T26 will be on display alongside 59 more of the world’s rarest cars.